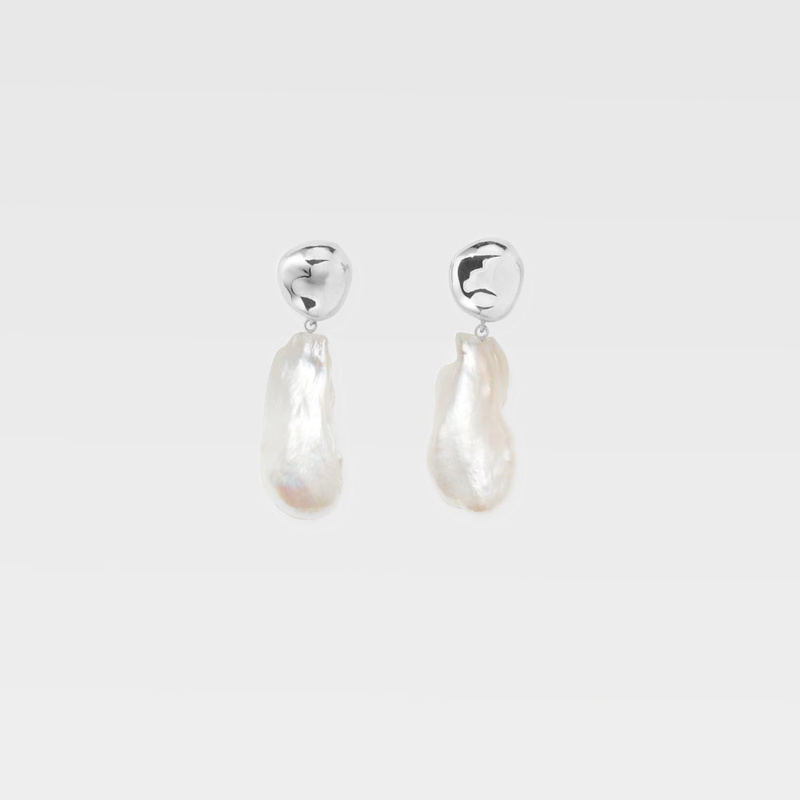 Available in sterling silver or gold vermeil, with a freshwater pearl. All pearls are one-of-a-kind and may differ slightly. Handmade in NYC. "AGMES is a jewelry line created by sisters Morgan and Jaclyn Solomon. Inspired by urban landscapes, architecture and modern art, the collection creates a feminine geometry expressed through clean lines and sculptural silhouettes. All pieces are handmade locally in New York from precious metals. AGMES is dedicated to creating pieces that will become modern heirlooms and embody a sense of timelessness. AGMES is dedicated to producing sustainable jewelry that has a small environmental footprint. During our production process we utilize almost all recycled metals and try to ensure that no metal goes to waste. All of our jewelry is handmade domestically, supporting local businesses and providing jobs here in the United States."